The Southeast Michigan Perinatal Quality Improvement Coalition (SEMPQIC) was established in 2015 with funding from the Michigan Department of Health and Human Services to address infant mortality in Wayne, Oakland and Macomb counties. The goal of SEMPQIC is to create a coordinated, equitable and sustainable network for perinatal care based on best practices and evidence-based strategies that will result in improved birth outcomes for all babies born in southeast Michigan and narrow the disparity between black and white births including adverse maternal perinatal and infant outcomes, including infant mortality. 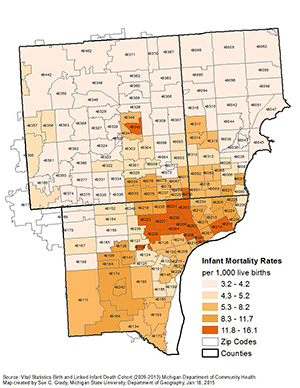 Data on infant mortality rates and racial disparities have clearly established the need for concerted action to reduce infant mortality in southeast Michigan. While many organizations have focused efforts and resources to address these issues, a new culture of collaboration and coordination must be created among the myriad health systems, primary care and obstetrical providers, emergency services, home visiting programs, and support services to assure that mothers and infants receive optimal care before, during and after pregnancy. Strategies that address the life-course and social determinants of health must also be developed and implemented both as essential elements in the effort to reduce infant mortality and as support for the perinatal system of care. Finally, all service providers must be allowed to apply lessons learned and improve the quality and delivery of care through sharing and analyzing data on contributing factors and birth outcomes in order to target resources to women and infants at highest risk. Our coalition invites all appropriate stakeholders to participate in fostering a new culture of health related to infant mortality in southeast Michigan. Establish operating policies, procedures, and agreements for the development of and implementation of a data repository of data elements related to birth outcomes, including data related to the social determinants of health. 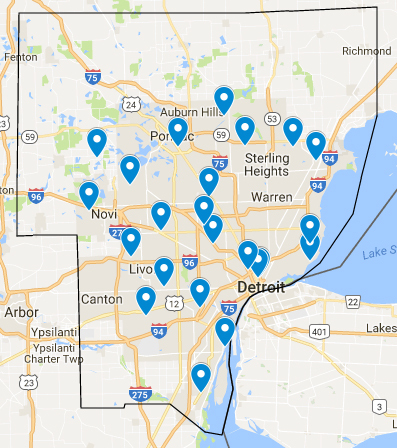 This data repository must be transparent and facilitate measurement of ongoing progress in southeast Michigan.